Since past few months, we heard the developers looking for new measures to take action against the hackers and cheaters in their online game Rainbow Six Siege and it seems that the work has already begun. The developers have formally started the war against the cheaters after finding out their account’s Match Making Ratings (MMR) were manipulated. According to the company, about 1,300 Rainbow Six Siege accounts were suspended for a period of 15 days and confirms for further punishment as this 2 week suspension is not enough according to the team. The Rainbow Six Siege suspended players will be able to play the game again right before the end of this season but they won’t be able to enjoy the perks given to other players at the end of current season. While those suspended accounts will be loosing their rewards and seasonal rank as well. “We are currently assessing how we will be delivering this from a technical side, but all players sanctioned for this will have their rank and rewards removed prior to the launch of Season 3. Furthermore, they have finalized a fix which will not allow the cheater to plant Defuser anywhere in the map. Siege is one of the most played online competitive game available right now and the use of cheats definitely ruins the charm of game. It is good to see the developers addressing these core issues to maintain the fair, competitive environment. Where as they are also working on the two-step verification requirement for the new rank, and chances are that it will be implemented during the launch of upcoming Season 3. 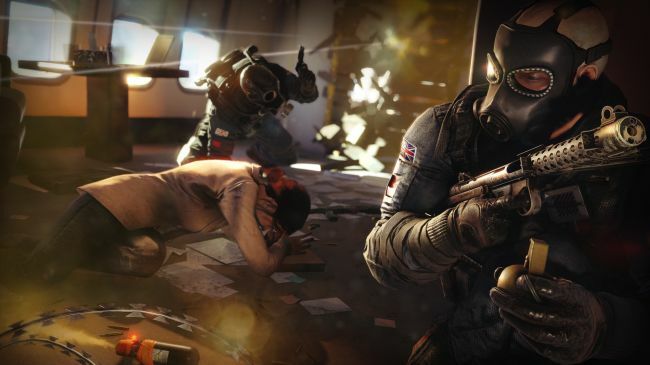 Rainbow Six Siege is now available for PC, PS4 and Xbox One. Stay tune for more updates!